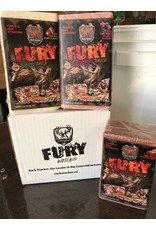 The Fury Brick is great to be added to your mineral locations to hold game animals in an area. perfect for all game from Elk, Moose, Deer and even small game like Rabbits. Its very easy to use, put it on a rotten stump with Blaze, Glory, Stak'd or Heavy Weight Moose Mineral and it will hold the game throughout the year. The Brick is known to last for months after heavy rain. After the rain, the brick omits an intense flavoring into the air to draw in any local game animals that may be in the area. 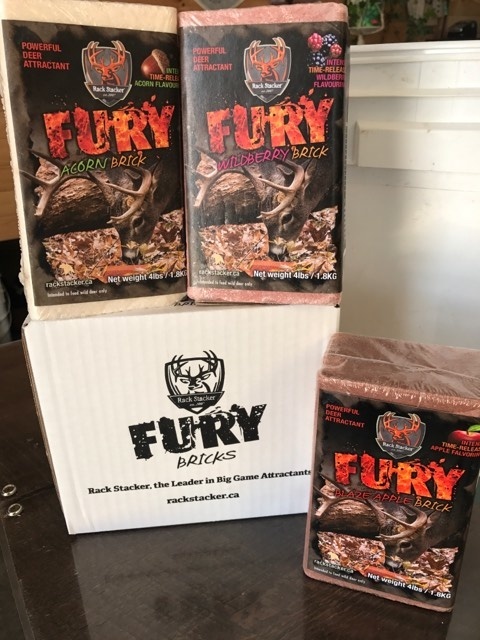 The Fury Brick is a great product to use in remote areas that you can't always get into because it can last a long time in front of your trail cameras.